We come to you, or ask about our partner locations! Our Parties last about an hour with all sorts of engaging, hands–on experiments that include things like tornado tubes, electricity experiments, chemical reactions that produce light, air pressure activities, indoor fireworks and tons more great demonstrations. 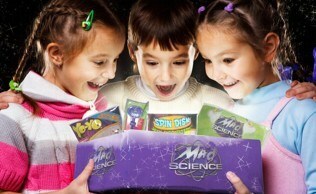 All parties end with a Mad Science chemistry take home for every child. 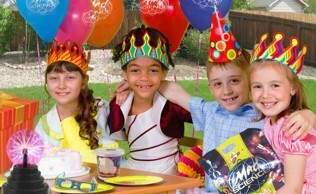 Our parties are ideal for children turning 5-10 years old. 11:15 A.M. 1:45 P.M. and 4:15 P.M.
We perform multiple parties at each time, but can not vary from this schedule. We recommend that you have the children arrive at least a fifteen minute prior to the Mad Science portion of your party, so that all the children are present for the fun as our instructors frequently have additional commitments each party day. We also can do after school and evening parties during the week, subject to instructor availability. Please contact us 4-6 weeks prior to your planned party date.